WASP - DE Technologies, Inc.
WASP is a multi-platform software package that predicts the penetration of shaped charges and explosively formed penetrators against virtually all types of modern armor systems, including spaced plates, explosive reactive armor, and non-explosive reactive armor. WASP’s user interface prompts the user for all required inputs. Completed input data sets for individual warheads, armor elements, and complete warhead and armor systems may be saved for re-use and further analysis. 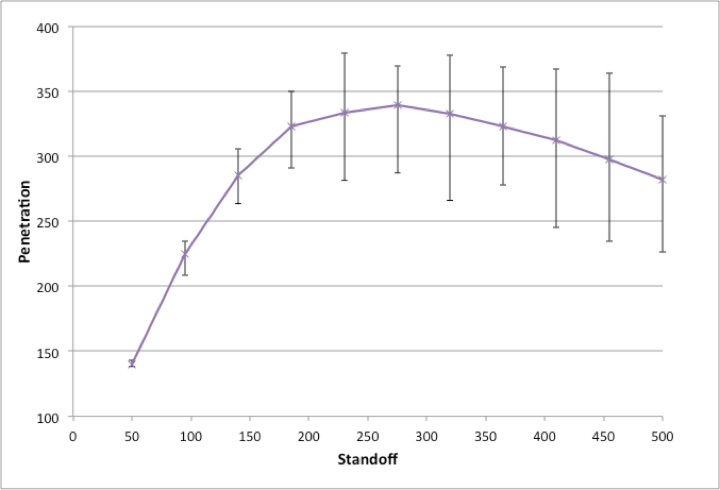 WASP predicts not only the average residual penetration of a given charge against an armor system, but also the expected range of test results. Excel output screen graph displays predicted Penetration vs. Standoff. 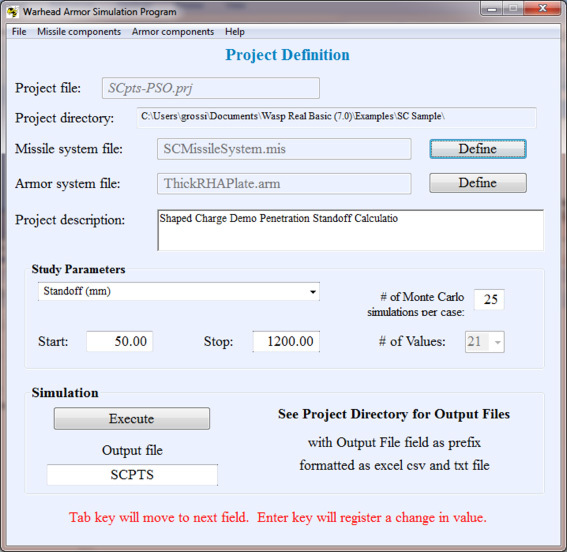 Input/output files are formatted as csv files allowing for data manipulation in MS Excel. 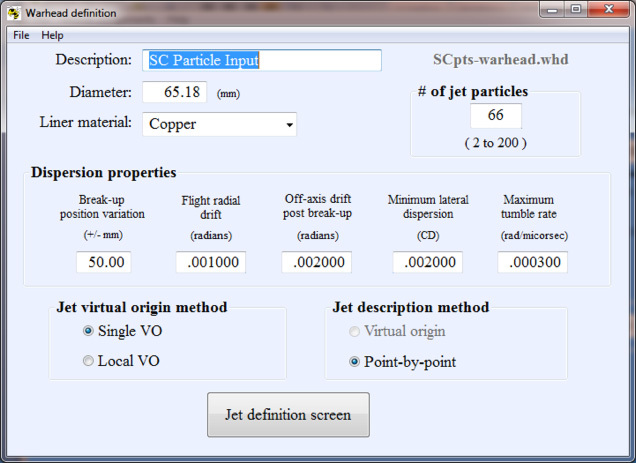 Accepts descriptions of jet penetrators in terms of virtual origin or point-by-point data, including output from the DESC code. Complex armor systems may be built up from sets of armor elements, including appliqués, spaced plates, explosive and non-explosive reactive armor elements, etc. Prepared jet descriptions and armor definitions are saved in libraries for subsequent analysis, and may be mixed and matched to compare performances.